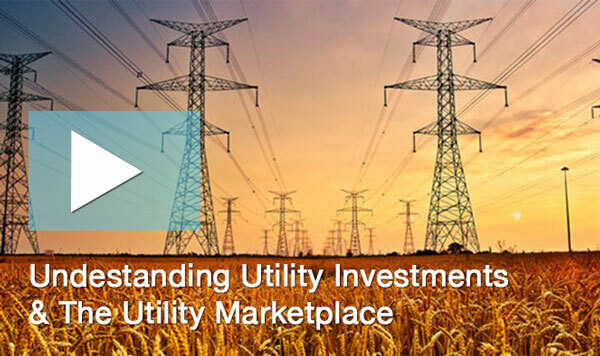 The history of the US utility sector is one of consolidation, fueled by the importance of scale to operational efficiency and access to capital. In general, the most successful unions have involved companies operating in the same region, though regulators usually make these transactions the most difficult to close. For a recent example, look no further than Exelon Corp’s (NYSE: EXC) recently closed acquisition of Pepco Holdings, which took almost two years to consummate because of regulatory delays. In the previous decade, Exelon walked away from a pending deal with Public Service Enterprise Group (NYSE: PEG) because New Jersey regulators required several pounds of flesh for the deal to gain approval. Or consider the proposed tie-up between the former San Diego Gas & Electric Company and Southern California Edison. Of course, by the time 2001 rolled around, California found itself in an electricity crisis that contributed to the recall of Gov. Gray Davis. Enron and other speculators that the CPUC nurtured in the 1990s helped to manufacture the spike in electricity prices; combining Southern California Edison and San Diego Gas & Electric would have provided a powerful counterweight to these forces. Nevertheless, the arguments used to scotch the proposed union of these California-based utilities form the kernel of most opposition to mergers in the sector. Rest assured, these familiar arguments will be trotted out once again to fight the most recent tie-up in the sector: Great Plains Energy’s (NYSE: GXP) pending acquisition of Westar Energy (NYSE: WR). Great Plains Energy and Westar Energy have gone through an extended courtship. In 1992, Kansas Power & Light merged with Kansas Gas & Electric Company to form Western Resources (now Westar Energy), fending off a rival bid from Kansas City Power & Light (now part of Great Plains Energy). In April 1996, Western Resources launched a hostile takeover bid for Kansas City Power & Light that prompted the target to abandon a previously announced merger with Utilicorp. By mid-1998, the two parties had reached terms for a friendly deal. But by late 1999, the proposed combination found itself on the rocks because of onerous concessions required by regulators, including a four-year rate freeze in Kansas and a five-year moratorium on rate increases in Missouri. Regulators also dictated that the takeover couldn’t involve a premium, effectively barring shareholders from capturing any value from the merger for at least four years after the close. To the surprise of no one, Western Resources and Kansas City Power & Light walked away from the deal. The most recent proposal reverses the companies’ roles, with Great Plains Energy offering $51 per share in cash and a target value of $9 per share in stock to acquire its former suitor, now known as Westar Energy. Great Plains Energy’s bid follows Westar Energy’s initiation of a strategic review in early March and the passing of a May 23 deadline without a solid offer from Ameren Corp (NYSE: AEE), another utility rumored to be in on the action. The minimal premium associated with the bid serves as a reminder that many utility stocks trade at frothy valuations, especially names regarded as potential takeover targets. In the capital-intensive world of electric utilities, bigger companies have better leverage with regulators, vendors, employees and capital markets. If Great Plains Energy’s proposed acquisition of Westar Energy closes, the combined companies’ operating units will serve 1.5 million in customers in Kansas and Missouri via 51,000 miles of distribution wires and 13,000 gigawatts of generating capacity. These assets include one of the largest portfolios of wind-power capacity in the US–and the combined utility will have ample opportunity to expand this asset base. Great Plains Energy and Westar Energy should also be able to squeeze out cost savings at their jointly owned Wolf Creek nuclear power plant and the La Cygne and Jeffrey coal-fired facilities. Management expects the acquisition to be accretive to earnings in the second year after the transaction closes. Over the long term, Great Plains Energy has called for annual earnings growth of 6 percent to 8 percent and dividend increases of 5 percent to 7 percent, fueled by cost savings and expansions to its rate base. The firm’s guidance also targets a payout ratio of 60 percent to 70 percent. Given the dearth of competing offers and the favorable reception to Great Plains Energy’s takeover bid from major shareholders, we don’t foresee any activist investors or other interlopers jeopardizing the transaction. Great Plains Energy and Westar Energy expect to file for approval from the Kansas Corporation Commission (KCC), the Federal Energy Regulatory Commission (FERC) and the Nuclear Regulatory Commission by the end of July. The deal will also need to secure antitrust clearance from the US Dept of Justice and the Federal Trade Commission—likely a formality based on recent acquisitions in the utility sector. But investors can expect FERC and the KCC to scrutinize the proposed combination closely, with federal regulators likely to focus on high-voltage transmission. Kansas regulators will set their sights on the potential implications for ratepayers and the debt involved in the deal. Fitch Ratings expressed concern about Great Plains Energy’s leverage after the deal; the utility’s debt to operating cash flow is expected to exceed 6.5-to-1. BBB-rated utilities average a leverage ratio of 5-to-1. On the plus side, the rating agency noted that the acquisition involves little integration risk and should generate significant synergies. Kansas regulators have 300 days from the initial filing to determine whether the deal is in the public interest, based on an established list of criteria. Given Great Plains Energy’s familiarity with KCC personnel and procedures, the utility should be able to work out a satisfactory arrangement with the regulator. Under the Obama administration, FERC has yet to reject a utility combination. However, the staff of the Missouri Public Service Commission (MPSC) has filed a motion claiming that the state has jurisdiction over the deal, citing a condition imposed when the regulator approved Great Plains Energy’s acquisition of Aquila. Great Plains Energy countered these claims, noting that MPSC didn’t review Laclede Group’s (NYSE: LG) 2014 purchase of Alabama Gas Corp—another deal that involved an acquisition by a holding company. As for the MPSC’s assertion that the synergies associated with the Aquila transaction came from terminating almost all of the target company’s employees, Great Plains Energy fired back that 1,091 of these 2,2000 workers went to Black Hills Corp (NYSE: BKH) as part of an asset sale and 920 stayed at the acquirer. With Great Plains Energy’s bonds maturing in August 2043 yielding 4.44 percent, the credit market hasn’t given much credence to concerns that the deal with materially weaken the utility’s finances. But these arguments probably won’t deter the MPSC’s efforts to get involved with the approval process, potentially delaying or even derailing the transaction’s closing. With potential regulatory challenges to Great Plains Energy’s takeover offer and Westar Energy’s stock trading at a lofty 26 times earnings, the stock could easily sink into the low $40s if confidence in the deal wavers. As with most of the pending deals involving names in our coverage universe, investors who own the targets should take the money and run—especially when you consider how long the approval process can take. Most of our top five utility takeover plays from last year trade at elevated valuations and exceed our buy targets by a significant margin, which is great news for subscribers who followed our lead on these stocks. Great Plains Energy’s takeover offer for Westar Energy amounts to a 15.3 percent premium at the time of the deal’s announcement, a far cry from the almost 50 percent that Duke Energy Corp (NYSE: DUK) offered for Piedmont Natural Gas (NYSE: PNY) last fall. Not only does this smaller premium underscore how stretched valuations have become in the utility sector, but this divergence also highlights the importance of selecting the right targets. 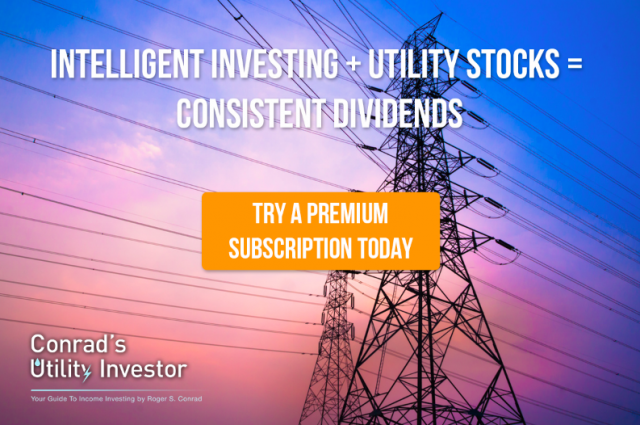 Subscribe to Conrad’s Utility Investor today to make sure that you have access to all my latest insight, analysis and investment ideas. The next issue goes live this weekend; you don’t want to miss it. On the fence about subscribing? Click here to download a free sample issue of Conrad’s Utility Investor. Let’s Make a Deal: Utilities Take Advantage of Pipeline Companies’ Pain Utility M&A Update Utility Strong TECO Energy Puts Itself Up for Sale: More Deals Coming?